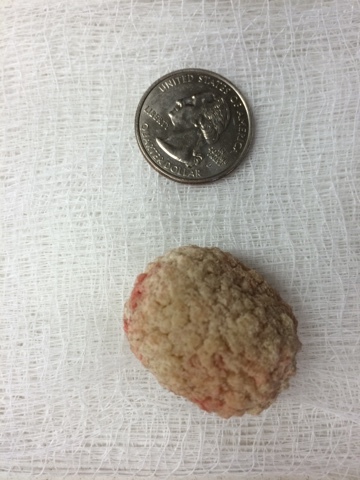 This is a large stone from a dogs bladder. Food and choice of food matters in dogs and even more so in cats! Ask your veterinarian how to prevent these. We took these out this morning.